Video evidence showing the moments after 911 caller Justine Rusczcyk was shot will be made public in the trial of the former Minneapolis police officer charged in her killing, a judge ordered Tuesday. 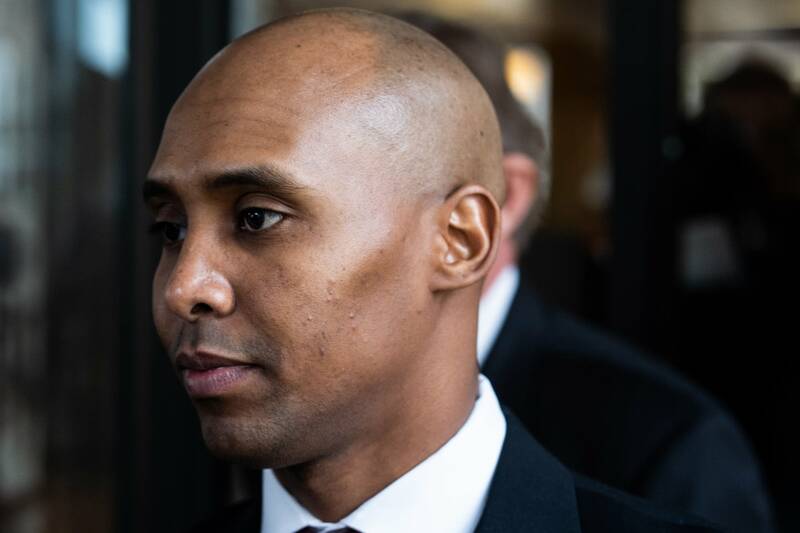 Judge Kathryn Quaintance's decision comes after several Twin Cities news organizations, including MPR News, argued she was placing unconstitutional restrictions in the trial for Mohamed Noor. On Tuesday, however, she was the court, "It's clear that I need to follow legal precedent. There is no role of victim privacy in the First Amendment." Investigators say Noor, one of the responding police officers, shot Ruszczyk through the open driver's side window of the squad. He is only the second officer to be charged in an on-duty killing of a civilian in Minnesota. With the video of the video set and the jury seated, here's what to look for on Tuesday as opening statements. Attorneys have hinted at a few narratives they'll likely bring up during the trial and that may surface Tuesday. 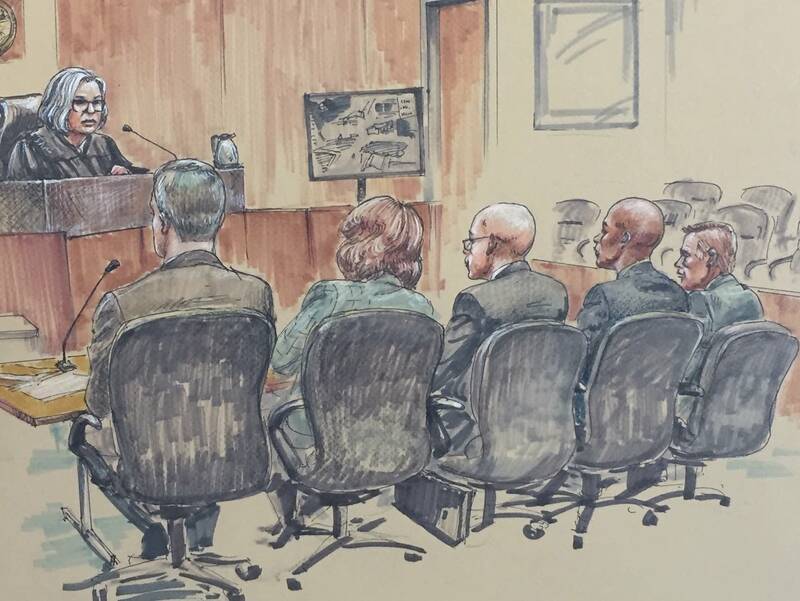 During last week's jury selection, defense attorneys asked prospective jurors if they felt like they were qualified for their jobs on Day One – hinting at Noor's relatively short time with police department. He was an officer for fewer than two years before the shooting. Prosecutors had talked to jury pool members about their experience calling the police for help, which is what led to the shooting. Don Damond, Ruszczyk's fiance, will likely testify early on in the trial. He was the last person she spoke with before police. One is a woman who is a doctor who talked about implicit bias in her profession, noting that people sometimes mistake here for a nurse or a lab technician and question her knowledge as a doctor. During jury selection on Friday, she came to tears when thinking about having to see graphic evidence Like autopsy photos and body camera footage of the victim dying. But she also could be fair and impartial. There is a carpenter. A grocery store manager. A civil engineer. A person who works in financial services. A firefighter who is also a paramedic – who says he knew three people on the prosecution's witness list – and trained with one of them. One is a United States immigration officer originally from the Philippines who investigates people's applications for citizenship and often makes the final determination.
] Another immigrant from the Philippines who made it onto the jury is a young person works as a restaurant host. During questioning, he mentioned his awareness of police shooting incidents involving black men. So, a final deliberations, the verdict could be decided by a 12-person jury that appears to be half white and half people of color. and whether any of them had negative experiences with Somali people.